PCC takes selected fields from IP header (you can choose from src-address, dst-address, src-port, dst-port) and with a help of hashing algorithm convert selected fields into 32-bit value. This value then is divided by a "Denominator", the remainder then is compared to a specified "Remainder", if equal then packet will be captured. First we give a code snippet and then explain what it actually does. This is typical ECMP (Equal Cost Multi-Path) gateway with check-gateway. 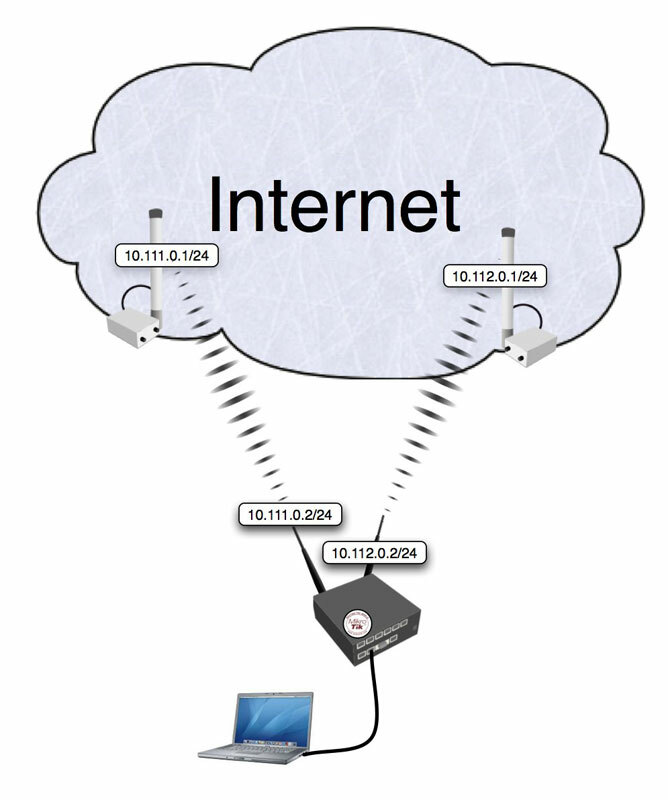 ECMP is "persistent per-connection load balancing" or "per-src-dst-address combination load balancing". As soon as one of the gateway will not be reachable, check-gateway will remove it from gateway list. And you will have a "failover" effect. With all multi-gateway situations there is a usual problem to reach router from public network via one, other or both gateways. Explanations is very simple - Outgoing packets uses same routing decision as packets that are going trough the router. So reply to a packet that was received via wlan1 might be send out and masqueraded via wlan2. To avoid that we need to policy routing those connections. ISP specific DNS servers might have custom configuration that treats specific requests from ISP's network differently than requests from other network. So in case connection is made via other gateway those sites will not be accessible. To avoid that we suggest to use 3rd-party (public) DNS servers, and in case you need ISP specific recourse, create static DNS entry and policy route that traffic to specific gateway. Every time when something triggers flush of the routing table and ECMP cache is flushed. Connections will be assigned to gateways once again and may or may not be on the same gateway. (in case of 2 gateways there are 50% chance that traffic will start to flow via other gateway). If you have fully routed network (clients address can be routed via all available gateway), change of the gateway will have no ill effect, but in case you use masquerade, change of the gateway will result in change of the packet's source address and connection will be dropped.